Learning about Beethoven? 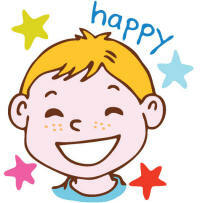 Start here with our simple biography and collection of colouring pages and printables for kids! Ludwig van Beethoven, 1770-1827, we born in Germany. His father was a singer, and it was obvious early on that Beethoven was a musical genius. As a child he travelled and performed, and soon started to support his family. As a young man Beethoven moved to Vienna, intending to study under Mozart. He did study with and befriend Hadyn, and soon his career as a brilliant pianist, conductor and composer took off. In fact he was the first musician who managed to make a living from his music without being employed by a king or noble and working for the court. At age 30, Beethoven began to go deaf, and soon was unable to play the piano or conduct any more. 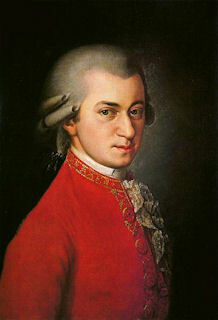 He carried on composing, however, and produced some of his best music after he had lost his hearing completely. Beethoven was a difficult, bad-tempered and emotional man but he also had a circle of very close friends who helped him deal with his worst times. In his later years people communicated with him through his "conversation books": they would write to him and he would reply, either by speaking or writing. Although many of the 400 or so books he filled in this way were destroyed, enough remain that we have good insight into his later years. "Music should strike fire from the heart of man, and bring tears form the eyes of woman." Here's a fun colouring page of Beethoven, designed for younger children. Aimed at younger children, this fun illustrated poster of Beethoven picks up his main characteristics! 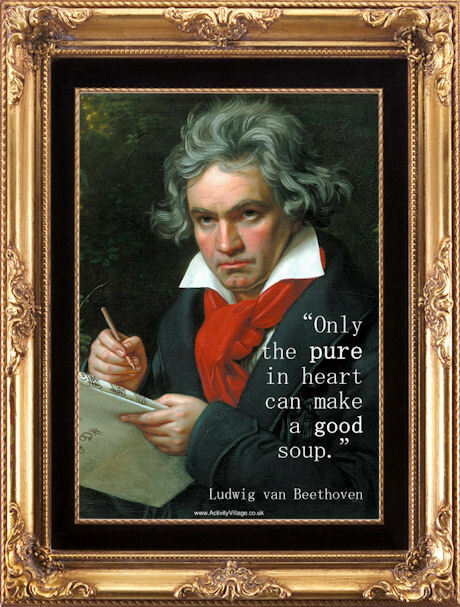 "Only the pure in heart can make a good soup." 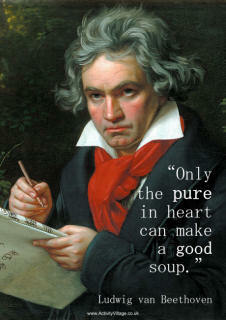 So said Ludwig van Beethoven, and we liked the quote enough to display it on our poster of Beethoven! Fun for the classroom - or the family fridge! Use our fun printable story paper to write about Beethoven - and colour him in too! 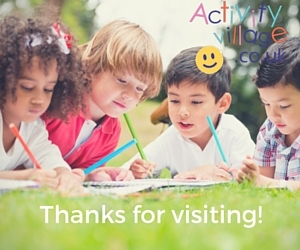 This simple worksheet encourages children to find out a little about Ludwig van Beethoven, and to think about what they would talk about with Beethoven, should they meet him! Collect facts about Beethoven or write a mini-biography of everything you've learned on this printable writing page, complete with fun illustration. Available in colour or black and white. Children can learn how to draw this fun picture of Beethoven by following the steps in our printable tutorial.